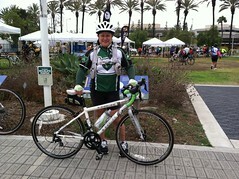 The Green Girl and Lexa did the 14th Annual Los Angeles River Ride 70 Mile Playa to Park on Sunday, June 22nd. 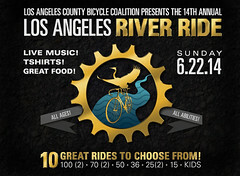 The annual LA River Ride is the Los Angeles County Bicycle Coalition's biggest event and fundraiser. 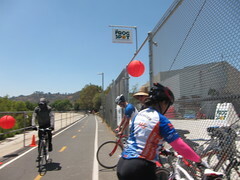 The proceeds from the ride benefited the Los Angeles County Bicycle Coalition (LACBC) and Moms in Motion. 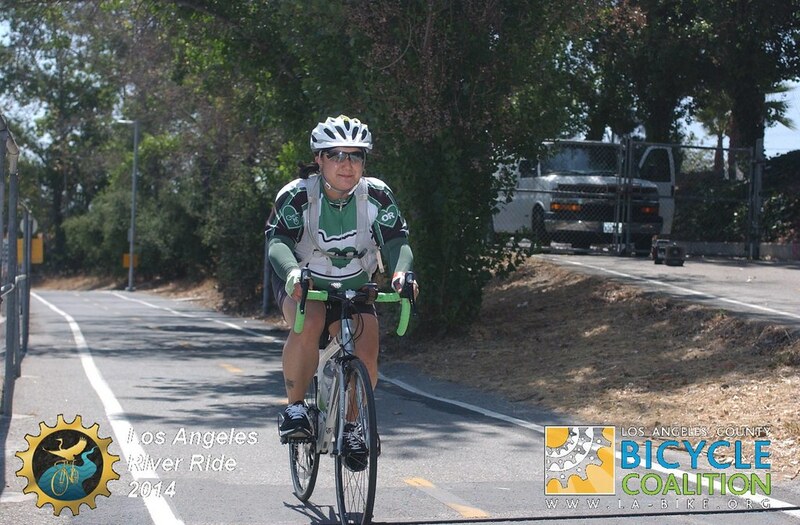 The LACBC was founded in 1998 by bicycle advocates Joe Linton and Ron Milam with a mission to improve the bicycling environment and quality of life for the entire Los Angeles region. The LACBC is part of LA River Corp's collaborative Greenway 2020 LA River revitalization campaign to complete a 51 mile greenway corridor by the year 2020 - a completely car-free uninterrupted bike highway running from Long Beach to Canoga Park complete with sustainable parks, gathering spaces, dining amenities, and potential green energy sources. 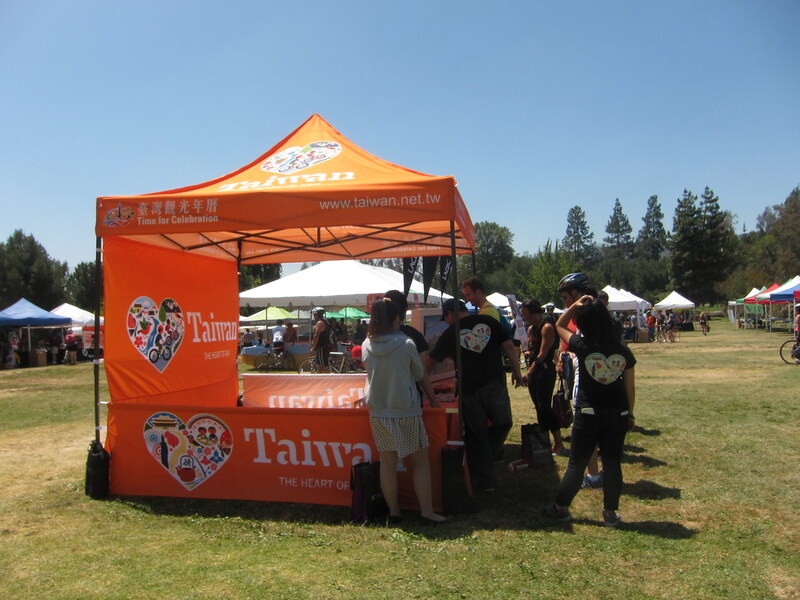 The Taiwan Tourism Bureau sponsored the LACBC Taiwan Cycling Festival Sweepstakes. 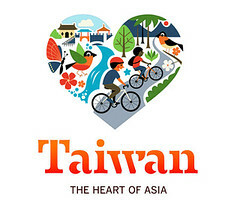 Everyone who signed up for a LACBC membership in the month of May was automatically entered in the LACBC Taiwan Cycling Festival Sweepstakes to win a trip for 2 to Taiwan to attend the Taiwan Cycling Festival at Sun Moon Lake. The LA River Ride offered 7 different rides starting/ending at the Gene Autry Museum and added 3 ride options starting/ending at the Aquarium of the Pacific. Lexa and I started our 70 mile ride at the Aquarium of the Pacific with Sarah aka 'The Pink Girl', Sarah's bike Alice, Sole Runner Cyndi, Cyndi's bike Lil Lexa*, Cassie from Beach Cities Cycling Club, and Cassie's unnamed bike. From the Aquarium, we followed the colored route arrows north onto the river bed. The June Gloom started us off with a cool but humid morning. 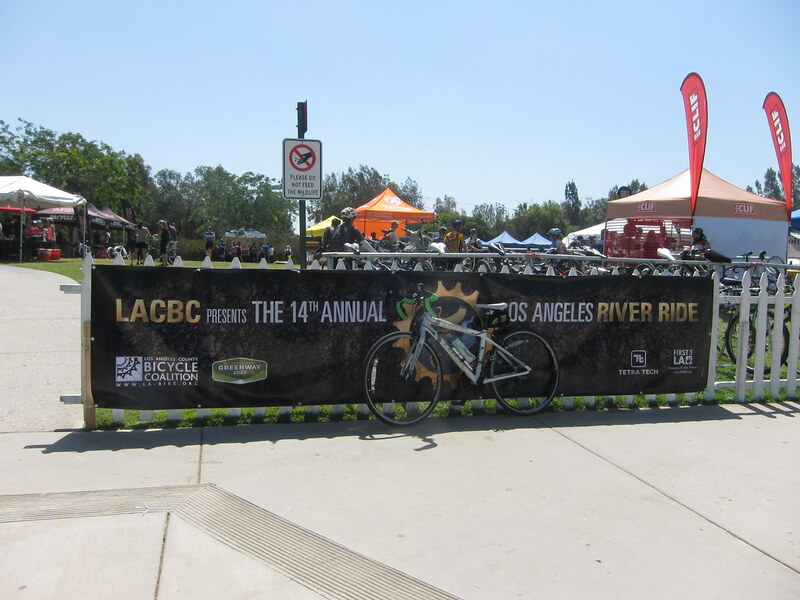 The LA River Bed is generally flat with short downhills and uphills beneath overpasses so the majority of the course was fast and flat. 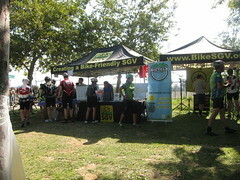 The first rest stop at Mile 17 was sponsored by Bike San Gabriel Valley (BikeSGV) at Maywood Riverfront Park. Volunteers out on the bike path warned cyclists of the slowing/stopping and quickly ushered us into the park. BikeSGV provided snacks and information about their organization. 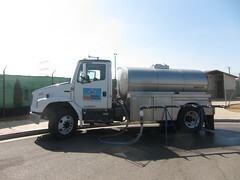 There were porta-potties and a Palomar Mountain Premium Spring Water truck for us to refill our water bottles. After a quick break, we continued north on the bike path. 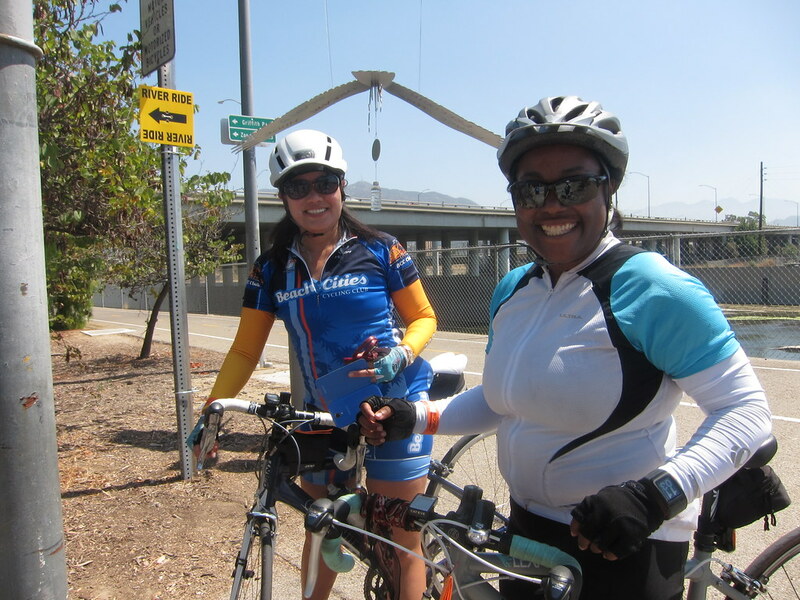 Despite volunteers waving their arms and shouting, and the giant LA River Ride bird logo dangling from a lamp post, Sarah and I somehow managed to cycle past the river bed turn off point. Sarah even bumped the giant bird with her helmet. When we returned to the turn off, Cassie and Cyndi were there. They laughed when we told them how we missed the turn and Sarah almost took down the official bird. From the turn off, we continued to follow the colored arrows through the streets of Los Angeles. 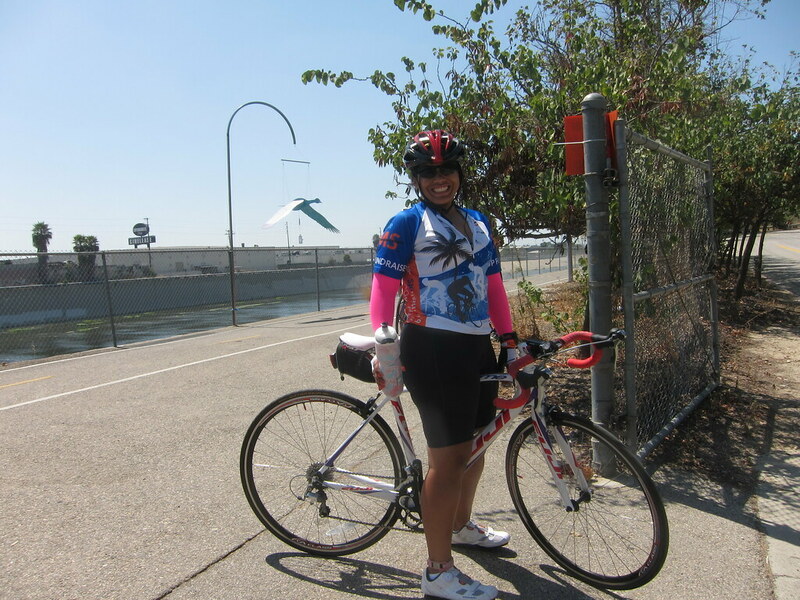 The arrows took us back onto the river bed bike path near Elysian Park. The cloud cover had lifted by this point and the occasional tree offered only temporary shade from the hot sun. The Gene Autry Museum with all the LA River Ride tents was a welcome sight. I was looking forward to eating some real food and the Eco Expo did not disappoint. 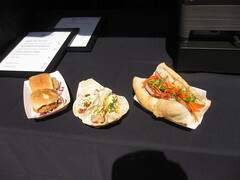 A tent was serving Cajun Ahi Tacos, Banh Mi Pork Sandwich, and Fried Chicken Sliders for $6. Cassie, Cyndi, Sarah, and I sat at a picnic table in the shade and enjoyed some lunch. We were all happy to use a 'real bathroom' at the Gene Autry Museum. I washed my face and reapplied sunblock. 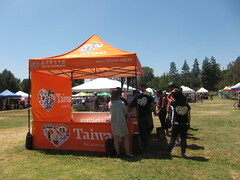 At the Eco Expo, I stopped by the brightly colored Taiwan Tourism Bureau tent before I headed to the LA River Ride merchandise tent. 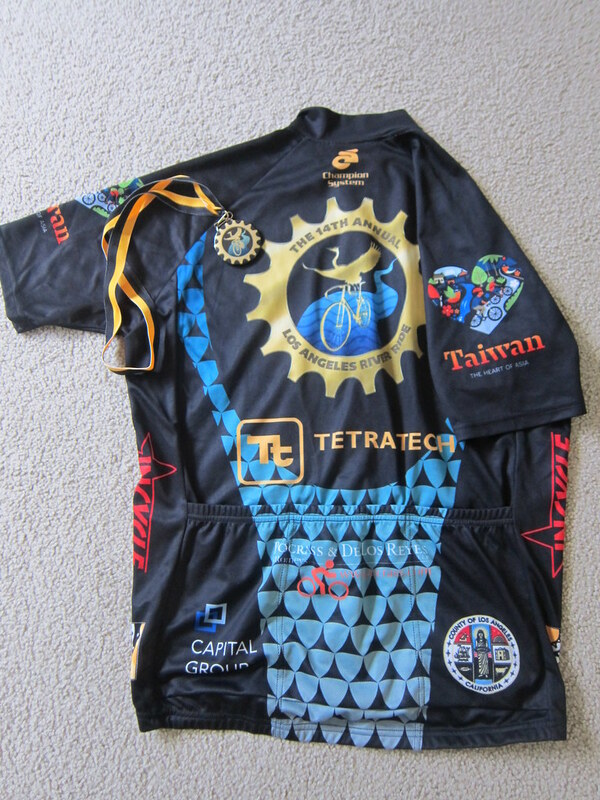 I had been admiring the event jerseys so I picked one up for myself for $70. After I stuffed the jersey into my hydration pack, we headed back out. The afternoon sun was hot and even though I'd just reapplied sun protection, I could feel myself burning. Since it was later in the day, the traffic was also heavier on the city streets - especially in Chinatown. Once we were back on the river bed, we encountered the expected headwinds but we didn't anticipate how hot the air would be. There would be an occasional gust of hot air as if someone was directing a heater at us. Sarah and I stopped off at the The Frog Spot, a bike-friendly convenience store on the side of the river bed. 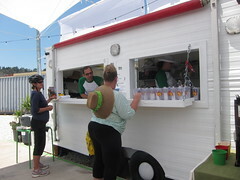 The Frog Spot generously offered cyclists complimentary ice water. Sarah refilled her bottle while I devoured a fruit popsicle. The rest of the ride home was windy and hot. The fellow LA River Ride cyclists were friendly and considerate. Whenever someone was pulled over with a flat, there were several other riders assisting. Several times other riders warned us several times of upcoming hazards - even a questionable transient standing on the path. At the Finish, we received a medal that doubles as a bottle opener. The LA River Ride Official Event Photos were generously sponsored by the Los Angeles County Bicycle Coalition and complimentary to all riders. 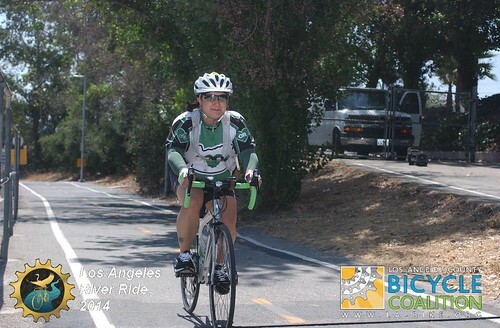 I want to thank the Los Angeles County Bicycle Coalition for a fun ride for a great cause. 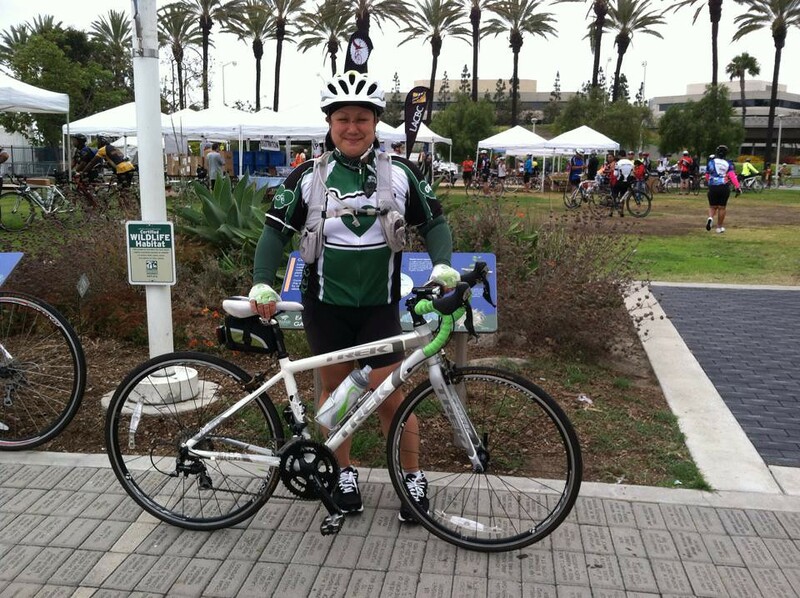 Lexa and I are looking forward to future Los Angeles County Bicycle Coalition events. I did the river ride maybe three years ago and loved it! It's such a laid-back vibe. The last couple of years I've had date conflicts and haven't been able to do it again. Maybe in 2015. Glad you had a good time! Aw, I hope you can make it next year. I had a great time and plan on making this an annual thing. Well done! 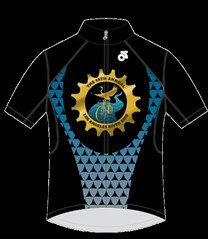 This looks like a blast and I really like the jersey you got. I just bought a bike yesterday and am excited to start doing longer rides! Congratulations on your new bike - how exciting! Looks like a great ride! Great scenery and a fun finisher medal! It was awesome - I love local runs/rides that are for a good cause. I've never done a ride like this. Sounds fun. 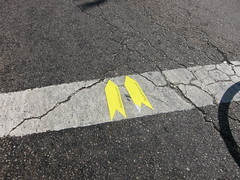 Did they close down streets for the event like they would for a foot race? Or did you have to fight traffic as well? The majority of the ride was on the LA River Bed so the only time we encountered traffic was that portion through East LA/Chinatown when we got off and back on the river bed. They did not block off cars but there were some LAPD officers helping direct traffic at busy intersections.